SACRAMENTO, Calif. (KGTV) — The new year is right around the corner and with it comes a list of new laws going into effect on the roads. Some of the new California laws include gender identity on drivers licenses, new fees related to smog checks and rule changes for motorized scooters. 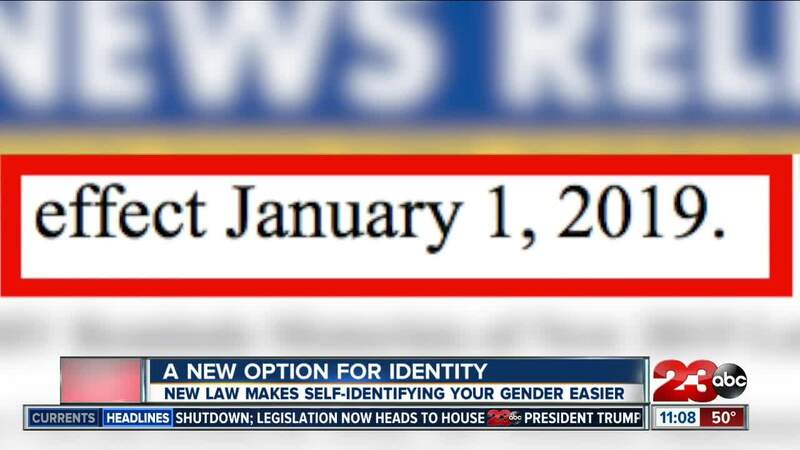 The new laws take effect on January 1, 2019. Gender identity laws – The law allows people applying for a California drivers license or ID card to self-certify their chosen gender category of male, female or non-binary. Applicants who choose non-binary will receive an X in the gender category. Motorized Scooters – This law no longer requires helmets for riders who are at least 18-years-old on motorized scooters. It also prohibits people from operating the scooters on a highway with a speed limit over 25 miles per hour unless within a class IV or class II bikeway. Smog check changes and new abatement fees - The law expands smog check exemptions to vehicles that are up to eight model years old. During the additional two years, the vehicles will pay an annual $25 smog abatement fee. Temporary license plate program – The law requires dealers to attach a temporary paper license plate on a vehicle at the time of sale unless the vehicle has a previously-issued license plate. The intent of the new law is to reduce the number of toll violations. Driving under the influence, ignition interlock device – From January 1, 2019 through January 1, 2026, the law mandates that repeat offenders for DUI and first DUI offenders whose violations result in injury to install an ignition interlock device for a period ranging between 12 and 48 months. Driving privilege for minors – The law repeals a juvenile court’s authority to suspend, restrict or delay the issuance of a drivers license of a habitual truant or ward of the state for up to one year. The law clarifies that any suspensions or delays reported prior to January 1, 2019, remain in effect. Unsafe, unsecured loads on vehicles – The law requires the DMV to include at least one question addressing laws on driving with an unsafe, unsecured load in at least 20 percent of the knowledge tests.